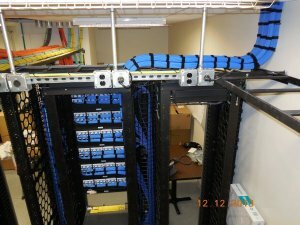 Northern Virginia Data Cabling, DC/MD, Structured Cabling, Fiber, Voice Cabling, GSA - B.I.G. 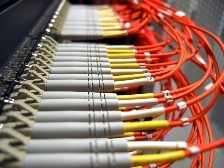 As your single-source, full-service structured cabling company, B.I.G. uses the highest quality components from leading manufacturers to deliver the latest structured cabling and network technologies to meet virtually any customer need. Our experienced team of structured cabling technicians, design engineers, and project managers are why our loyal customers depend on us for high quality, competitively-priced cabling projects. Our premises structured cabling solutions provide consistently high-bandwidth and error-free performance, giving you the best value for your money. Vertical structured cabling runs extend your voice and data network to other floors in your building or interconnect offices in multiple buildings. We pay attention to cable routing and arranging for proper support of the cable weight. We take steps to protect your structured cabling against potential damage and sources of interference that can impede optimal performance. We have the knowledge, experience and partnerships to help ensure successful network cable installs on a regional and national scale – on schedule and within budget.